In my last blog post, I talked about quiet time and why it’s important to spend time with God on a daily basis. In that post I mentioned the study method which involved “Observation, Interpretation, Application.” This is a method that was taught to me by one of my Bible teachers this past year. I explained it with little detail so I wanted to go more in depth of how to use this method so that you can study scripture with an organized process right at your fingertips. Why should you study the Bible? Why would it be worth taking time to use a method like this? Studying the Bible is such an important discipline in our Christian faith. When I say study, I am not talking about just reading. It would be like if you had a big exam and you just read over the material one time. You have a chance to make your best guess, but you aren’t going to really understand it and get a good grasp of the concept unless you dive in deeper. Studying the Bible with an actual process gives you a better knowledge of the character of God. Studying the Bible helps you view the meaning, history, and time it was written. Studying the Bible equips you to have the knowledge to be able to share with others. Studying the Bible helps you understand the context. I want to take the time to really break down how to use this method of Observation, Interpretation, Application in doable steps so that you might apply it to your own study time. go online and find the book, chapter, verse that you are studying and print it out in a large double-spaced font. This makes it easier for you to devour it and make it your own. Mark this copy up, write notes in the margins, write questions in between the text, have a color system that you like to highlight with. Make it your own. Make some initial observations about it. figure out who is speaking, who it’s about, what’s going on, where is it taking place, what the subject or event is. Then begin to ask yourself some questions: what are we able to learn from the people involved? Why did God want it in the Bible? What’s actually happening? How did it happen? Figure out the context because this shapes the meaning. It is hard to read something once and really understand it, so I suggest reading it multiple times. Take the time to read it once, twice, even three times to meditate on the scripture. Find the keywords and the words you don’t know. If you can take a word out of the text and it doesn’t make sense without it, those are the keywords. I also find it helpful when I am studying to circle or put a question mark next to the words and/or phrases I don’t know and look them up or asking a mentor who will know what they mean. It’s important to clarify the unknown when it comes to the Bible so don’t be afraid to ask. Step two is interpretation. To interpret the text is to find the central idea of the text. With the help of what you learned in the observation portion, you are now trying to get a better understanding of what the Biblical author was communicating and what God was communicating through that author. When you interpret the text you are identifying the main point and the author’s original intent in a concise paraphrase written in your own words. 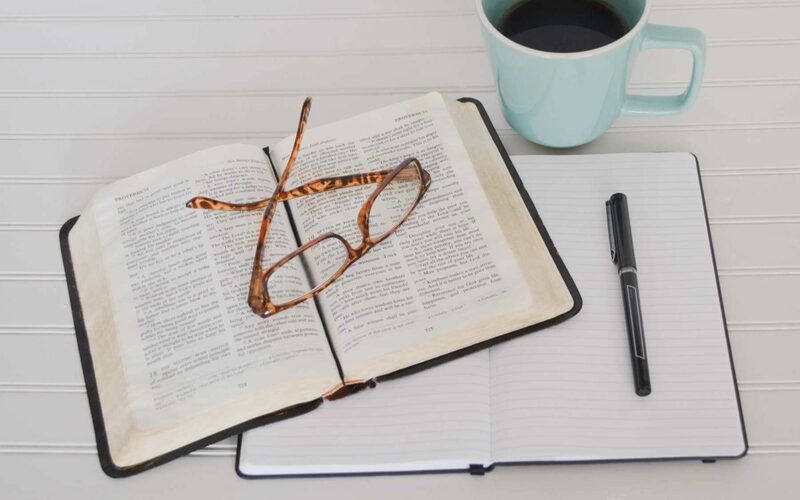 Once you have finished making a short interpretation on your own, now is the time where you can search commentaries, cross-references of other Bible passages, and Bible notes to get a better idea on what others think as well. Using this technique of study may take some time and it may be hard as you start, but never give up. It is an orderly process that allows you to dig deeper into the Bible. Rather than looking at it as a chore, look at it as the fact that you get the privilege of studying an incredible book inspired by our God. Have a longing to gain the wisdom and understanding of Him. Meghan O’Brien is a summer intern at Christ Community Church.